topped with herbs and goat's cheese. WITH Australia's liquor outlets seemingly awash with low-priced New Zealand Sauvignon Blanc – and some chains selling "cleanskins" from as little as $3 or $4 a bottle – you'd be tempted to wonder why you'd even consider paying close to $20 for one of these current New Zealand flavours-of-the-month. But pay $18.95 for a bottle of The Ned Sauvignon Blanc from the Marlborough Region's Waihopai Valley and you'll find just how good a classic New Zealand Sauvignon Blanc can be – and we'll put money on it you'll go back for more. Winemaker Liam McElhinney crafted this one for Brent and Rosemary Marris who founded their 260ha Marisco Vineyards in 2003, and are now enjoying booming export sales here, in the UK, Germany, the Netherlands, Austria, the Czech Republic, Ireland, Singapore and the Philippines. Their 2010 The Ned is Marlborough Sauvignon Blanc at its best, literally erupting with zesty citrus and capsicum flavours and nicely juicy acidity. Match it with seafoods (naturally,) or enjoy with sunset appetizers of crostinis, topping these Italian "little toasts" with Mediterranean herbs and goat's cheese. ONE FOR LUNCH: Former Australian Show Jumping Champions, Peter and Judy Rymill have taken their love of horses a step further, labelling a range of one-year wines The Yearling. They've already a 2009 The Yearling Shiraz and a 2010 Sauvignon Blanc, and have now released a 2009 Rymill Coonawarra The Yearling Cabernet Sauvignon. Wonderfully fresh and youthful, this one's got aromas of blackberry, currant and mint that follow-through beautifully on the refreshing palate. At just $15 take a bottle along to enjoy at that next Yum Cha, or match with spicy Spanish meat balls called Albondigas in a rich tomato sauce served with pasta. Spitbucket is the community for all things wine. Of the people for the people. Hilarious, controversial, informative and ruthlessly honest. We separate the great from the average at all price points. gamey meats, duck or lamb. BACK in 1993 when Clare Valley winemakers were suffering a desperate shortage of Shiraz and Cabernet grapes, Tim Adams Wines convinced a neighbour, Fergus Mahon to sell them his entire Grenache crop so they could create a blend that would see them through a looming grim vintage. And in appreciation they labelled the wine The Fergus – which not only created much interest amongst consumers at the time, it's gone on to become a staple of the Tim Adams range. 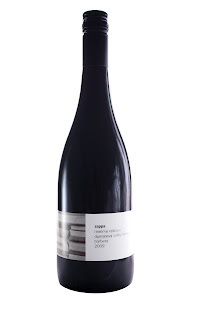 The latest release is the 2007 that's a blend of Grenache, Shiraz, Tempranillo, Cabernet Sauvignon and Mataro that all come together as a lip-smacker that's generously flavoured yet soft and supple… little wonder that consumers both here and overseas can't seem to get enough of The Fergus. With wonderful red berry flavours and a nice spiciness from the Grenache component, at $27 it's an ideal wine with gamey meats, duck or lamb. or two of this and in-season lobster. ONE FOR LUNCH: Mudgee in NSW is reputedly the birthplace of Chardonnay growing in Australia, and lovers of the variety can rejoice over a glass or three of the just-released Frog Rock 2010. Lightly oaked and with fine mid-palate flavours of apple and melon, at a well-priced $15 you can afford to shout yourself to a bottle or two of this and some in-season lobster. FOOTNOTE: Former Victorian winemaker Trevor Mast who created the famed Four Sisters label at his Mount Langi Ghiran winery in the Grampians – and who was diagnosed with early-onset Alzheimer's disease in 2006 at just 57 – has raised $14,000 for the Lovell Foundation that supports younger sufferers through an auction of rare wines from his personal collection. Langton's Wine Online ran the auction that amongst others realised $576 for a 1985 Grange, $530 for a 1990 Domaine Armand Rousseau Clos St Jacques 1er Cru, and $289 for a double magnum 1996 Mount Langi Ghiran Shiraz. Register for the Great South Australian Wine Adventure and you could WIN one of 3 ULTIMATE WINE ADVENTURE PRIZES! We’ll be revealing just what these experiences will be as the adventure unfolds. A long weekend of food, wine and adventure in one of South Australia’s stunning wine regions for you and 5 friends. 2 nights for six people. A luxurious intimate weekend for two – an idyllic getaway, including world class dining in one of South Australia’s finest restaurants. LEADING Australian wineries are among dozens of suppliers stung in an alleged $10 million scam, with police uncovering a "motherload" of fraudulently-obtained wine. Police said at least 60 Australian companies hade been caught in the sting. 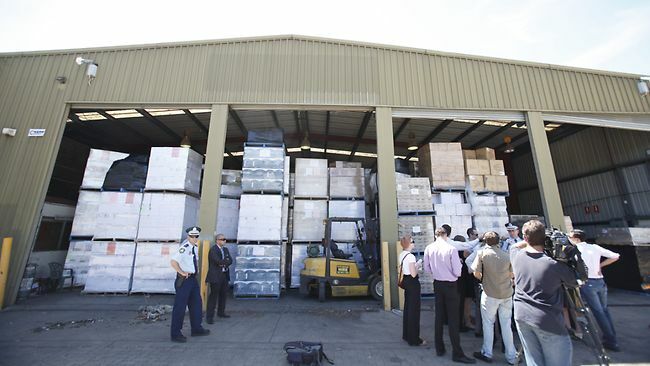 Warehouses in Fairfield, Wetherill Park, Alexandria and Condell Park were also raided. - ideal with pasta dishes. IT lays claim to being Australia's newest wine region, but in fact grapes were first grown in NSW's New England by Wyndham's as far back as the 1880s. But its only in recent years that grape-growing and winemaking have been taken seriously in New England, and today this sprawling inland region about half-way between Sydney and Brisbane has 42 vineyards, five wineries, 20 cellar doors and 291ha under grapes. And it's our only region to embrace both cool and warm climate viticulture, with Chardonnay, Semillon, Cabernet, Shiraz, Merlot and Gewurztraminer currently its backbone, while Riesling and Pinot Noir are absolutely thriving. But it is it's diverse terroir (it spreads 300km north to south and 150km east to west) that could well prove itself the region's goldmine: some lesser-known, but growing in popularity, European varieties like Barbera and Tempranillo are showing huge promise – and buyer interest – with initial plantings. that special occasion in 2011. ONE FOR LUNCH: THE festive season may be behind us but we'll all still have those special occasions to celebrate in 2011, and a drop we were delighted to find under our tree at Christmas was one we'll be investing in for our own 2011 very special occasion. This French Champagne Taittinger Brut Prestige Rose NV is a blend of 70% Pinot Noir and 30% Chardonnay fruit, with a small portion of the Pinot Noir first made into red wine and then added to the blend to give it its lovely pink hues. And while delicate on the palate it's got good raspberry, cherry and blackcurrant flavours and a velvety finish. Pay $130 for your special occasion. A Yearling is a one-year-old horse so what better name for a range of one-year-old wines from Rymill Coonawarra? Coonawarra has long been associated with horses as its terra rossa limestone soil, with its high calcium content, raised horses with sought-after strong bones and powerful constitutions long before it became famous for the excellence of its vineyards and wines. And Rymill Coonawarra in particular has reflected the region’s equestrian connection as owners Peter and Judy Rymill were both Australian Show Jumping Champions. It was this love of horses that led to the commissioning of the magnificent bronze stallion sculpture by the noted artist Gabriel Sterk which greets visitors to the Rymill Coonawarra cellar door and from which the company takes its logo. The 2009 Yearling Cabernet Sauvignon (RRP $15) is the latest addition to the stable, joining the 2009 Yearling Shiraz and the 2010 Yearling Sauvignon Blanc. This is a youthful estate grown Coonawarra Cabernet Sauvignon, specifically crafted by the use of early, gentle pressing to be soft, supple and approachable. It is affectionately known by the Rymill Coonawarra winemaking team, led by Sandrine Gimon, as “dashing” due to its instant charms and capacity for immediate enjoyment. Did you know that Rum could actually be described as one of our national drinks, being used as the first unofficial currency of the early Australia colonies back in NSW in 1793? It also played a key role in our pioneering spirit and military history with the 'Rum Rebellion' of 1808, Australia's one and only military coup! Encapsulating all of this history, whilst also highlighting the future of this stylish, seductive spirit is Holey Dollar Rum; the perfect rum experience on any day from Australia Day to Anzac Day! Australia's Rum Heritage is reflected by the name Holey Dollar - the coins with holes punched out that, significantly, superseded rum as the main form of currency in NSW. As well as in name, Holey Dollar Rum also echo's its heritage in style, as like those early rums, which were all imported, Holey Dollar Rum is distilled from the finest and purest Fijian sugar cane. This cane is hand cut to yield the highest possible sugar content and produces molasses of unsurpassed quality. These ingredients are distilled in a 100 year old wood fired copper Pot Still under a unique and specific Australian recipe by the talented hands of Australian Master Distiller Stuart Gilbert (2009 IWSC Best Rum and International Distiller of the Year). Coincidentally, Stuart first fine-tuned the recipe for Holey Dollar Rum in 2008 exactly 200 years after the Rum Rebellion! The brand is still one of the only premium quality rums to be produced by a wholly Australian-owned company. Holey Dollar's Modern Rum Rebellion is showcasing how this beguiling, dark spirit is resounding history but is also taking rum to a new level by offering a superior drinking experience. No longer banished to be mixed with coke or orange juice, these are finely hand-crafted rums with smooth complex aromas and flavours, and offered in 3 strengths to suit different palates and occasions. The superior quality has been justified by International acclaim including, 2009 International Wine & Spirit Competition Winner "Trophy for Best Rum", 2010 International Wine & Spirit Competition Winner "Gold Medal and Best in Class" and 2010 The Golden Rum Barrel Awards Winner "Best Australian Rum". Whilst this level of quality does come at a slightly higher price, Holey Dollar still honours the Australian pioneering spirit and remains affordable to all, for any special occasion. Attractive nose with good floral notes and some dark, brown sugar. Good, rich mouth with flavours following the nose along with treacle, dark chocolate and some vanilla. Raisin and prune are there and go into the full finish. Nose is filled with tropical fruits with floral backing and rich vanilla. Mouth is big and demonstrative with all the flavours the nose had plus prune and treacle, with good, sweet vanilla. Long silky-soft extended finish. Dark amber colour with aromas of raisins and chocolate, toasty almonds and a hint of dried banana…layer upon layer of progressively drier and woodier oak flavours finishing long and warm on the palate. · 1788 - First Fleet settles in Sydney Cove, January 26th. No coins meant the barter system became firmly established. · 1792 - Captain Phillip returned to England giving wide control to the NSW Corps. · 1793 - American trading ship the 'Hope', arrived with 7,500 gallons of rum in her cargo. · 1806 - William Bligh arrives as Governor of NSW with orders to curb the power of the Rum Corps. His methods upset officers and leading free-settlers. · 26th January 1808 - 20 years after Australia's settlement, the Corps marched on Government House reputedly dragging the "tyrant" Bligh from beneath a bed before arresting, imprisoning and eventually exiling him. · 1810 - The new Governor, Lachlan Macquarie requested a special shipment of 40 000 Spanish coins from The Bay of Bengal. Each coin was punched into two – the holey dollar and the dump. · The holey dollar replaced rum based barter system and remained the colony's legal tender until 1822 when England solved coin production problems and were able to send supplies to the distant colony. · 2008 – Holey Dollar Rum was founded by Stuart Gilbert. · 2009 - Holey Dollar Rum wins International Wine & Spirit Competition Trophy for "World's Best Rum" and named "International Distiller of the Year". · 2010 – Holey Dollar Rum announced The Golden Rum Barrel Awards Winner "Best Australian Rum" and was runner up in the Spirits producer of the Year.